The number and frequency of physician-performed assessments of medical trainees is on the rise within medical academia. Because the consequences of implementing these higher assessment demands remain unknown, it is timely to establish a framework for monitoring the imposed and perceived evaluative responsibilities of physician educators. 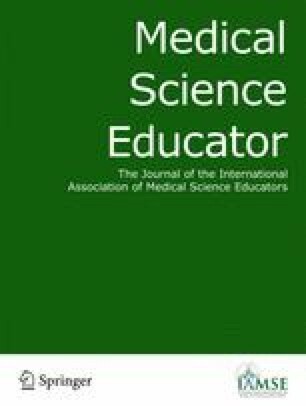 This study explored the imposed and perceived evaluative responsibilities among different populations of physician educators who complete clinical clerkship evaluations (CCEs) using the constructs “evaluative strain,” “evaluative assignment,” and “evaluative activity.” An evaluative strain instrument was administered in 2016 at Indiana University School of Medicine to physician educators who evaluate third-year medical trainees using CCEs. Evaluative assignment and evaluative activity were estimated using CCEs as a proxy for the assigned and completed volume of evaluations. Evaluative strain, assignment, and activity scores were reported globally and compared across medical departments. Evaluative strain was regressed on evaluative assignment and evaluative activity to determine the extent of their relationships. Physician educators had moderate evaluative strain scores (M = 45.4/100, SD = 19.4) with OBGYN physicians reporting significantly higher scores (p ≤ 0.015) than other departments. The “temporal demands” dimension of evaluative strain was perceived to be the most influential aspect of the evaluative process. Neither evaluative assignment nor evaluative activity was related to evaluative strain (p ≥ 0.61). This research demonstrated evidence of moderate evaluative strain levels among participating physicians. The utility of this study may hold promise as a framework for future research aimed at monitoring changes in the evaluative demands placed on physician educators. The authors wish to thank the physicians from IUSM for participating in the study, the medical school leadership for their recruitment efforts, and Joel Smith from the IUSM Office of Medical Student Education for his generous assistance with data collection. This study was granted exemption status by the local Institutional Review Board at Indiana University School of Medicine (Protocol No. 1604657202) on June 9, 2016.